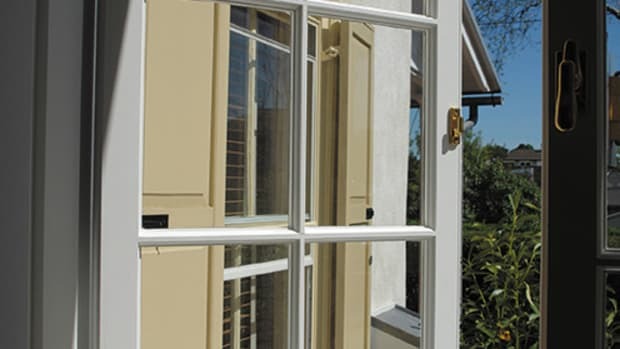 In many cases, restoring bronze and steel windows may be a good alternative to replacing them. A look at the design and history of these popular—and versatile—metal windows. North America is a land rich in wood, and wood windows, historically, have dominated, especially the iconic double-hung sash. Nonetheless, for over a century, windows made of metal – principally steel and bronze – have also been part of the scene, particularly for Classical, Romantic, and even early Modern architecture. 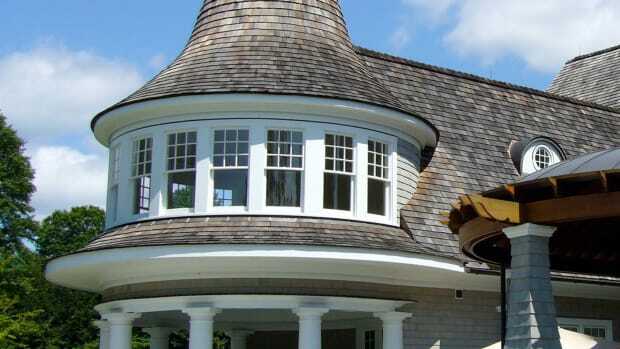 They are worth understanding for anyone working today on an existing or new house built in a traditional style. The appeal of bronze is both mechanical and architectural. Its ability to resist decades of weathering is legendary, but bronze is also strong – superior even to early wrought iron, and long the stuff of marine hardware, always high-end. By the heyday of the steel window in the 1920s, several manufacturers also offered bronze windows to serve the market for banks, government buildings, town houses and estate homes. For example, in their 1926 catalog, steel window manufacturer Henry Hopes & Son of London included a section for solid-bronze casements, noting that they “make all our sections in this metal.” Suppliers such as Newman Manufacturing in Cincinnati and Wm. H. Jackson in New York were even more dedicated to producing in this metal. Whether it is wood, steel or bronze, part of the economy that comes from making a production window is achieved by not having to change tooling any more than necessary to accommodate a switch in design or materials. “The goal of most steel window and door makers,” explains Baird, “is to build everything they can with the profiles they have already established.” No surprise then why steel and bronze windows of the past often used identical rolled profiles for sashes and frames regardless of the metal. However, to meet modern needs for waterproofing and state-of-the-art glazing, Baird says, “Over the past 20 years, we have developed a whole series of extrusions to go with our systems,” which include, among other features, true divided lights. Indeed their designs range from classically oriented three- and eight-light casements to ganged windows with early-20th-century muntin patterns that emulate the Arts & Crafts work of Greene & Greene. The considerations for bronze windows don’t stop with the sashes and frames either. Bronze is a heavy metal, and hardware – especially hinges – have to swing many pounds thousands of times a year. Baird notes that, customarily, window and door manufacturers buy third-party hardware for their products – even those making metal windows and doors. It follows logically then to look at the options for hardware when specifying bronze windows, making sure that the components are up to the job. “We initially used third-party hardware on our doors,” says Baird, “until it started to fail due to the weight, so then we started building our own.” Obviously, a bronze window that doesn’t open or close easily isn’t much good, no matter how beautiful it is. 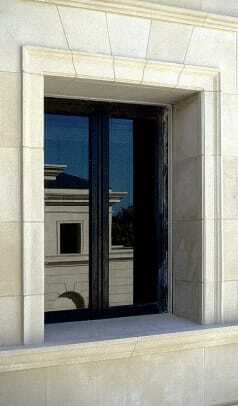 Ferrous metals in windows are foremost by dint of numbers. Though physical evidence of the earliest windows on this continent is scarce, tantalizing clues come from fragments excavated near Williamsburg, Virginia, including leaded-glass casements in iron frames. It is likely that such windows were imported from England: iron-frame casements are still found in 18th-century English houses, such as the Chichester County Hall by Christopher Wren. Thereafter, the record for steel windows is spotty at best until around 1900, when the use of steel windows took off – not only because they were considered fireproof (a big plus for commercial buildings in urban areas), but also by virtue of their economy and simplicity. 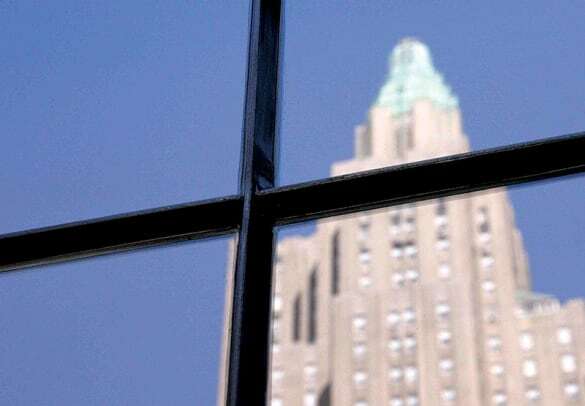 The strength of the metal allowed for thin muntins, svelte sightlines and more open glass; by the time of the surging economy of the 1920s, steel windows were the darlings of the utilitarian building world. Thus Seekircher is a big advocate for the repair and upgrade of existing steel windows, and he is not alone. “Our typical customer is buying an old house because they love it,” he says. “They also know that it is going to have quirks, so they’ll live with a problem – be it plumbing or roofing or plaster – until they find the right solution.” The question then with existing steel windows is how to deal with some of those quirks. 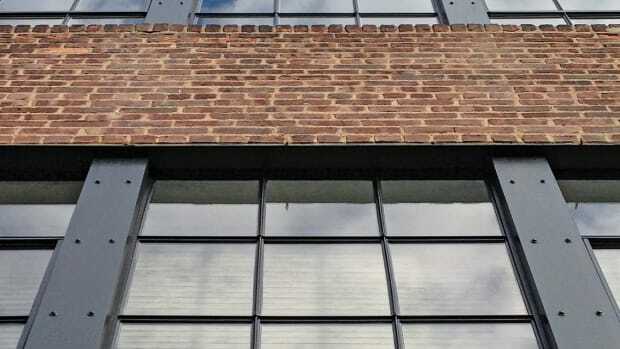 If a steel window needs a lot of work, one approach may be to remove it for a complete overhaul. “It depends upon the installation,” says Seekircher. 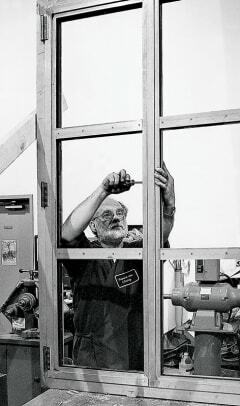 “Where windows are set into a wood opening, and there is maybe a timber or wood-frame jamb – even with masonry – they are usually just secured by wood screws, which you can undo and then pop the frame out.” But it is not always so simple, as when the window is installed right into the brick or masonry. “Sometimes there is a flange in the masonry,” he says, “and then, after all the brickwork was done, they attached the window to the flange, which makes it kind of hard to get the window out.” Sometimes the flanges are permanently attached, which makes removal altogether impossible. “Installations can be almost as varied as the original contractor,” Seekircher explains. Over and above the mechanical work may be some cosmetics. “Not every window that we work on needs to be stripped and painted,” says Seekircher, “but sometimes folks buying a house or doing a renovation decide to make everything look consistent, so we will do the mechanical work, then we will strip, prime and paint the windows.” Although the majority of residential steel sash are probably front-glazed with putty, similar to a traditional wood sash, architects of the past could also order windows inside putty glazed – that is, with the putty bevel facing the living space. Also, some manufacturers offered models that, instead of putty, used various forms of bars, both on the exterior and interior.